A powerful antioxidant. Effective for anaemia and allergies. Increases the haemoglobin level. Slows down aging. Neutralises the free radicals in the body. Highly efficient for diabetes prevention. Transports blood sugar in cells without the need for insulin. Prevents cancers, cardiovascular and viral diseases, and joint disorders. Normalises the mineral exchange within the body. Removes cellulite. Controls excess weight. Normalises the blood’s biochemical properties. Effective for alcohol abuse and overeating. The zeolite is a silicate mineral with a microporous structure, containing mainly aluminium and silicon. When it is introduced in a different environment, mostly liquids, an active ion exchange begins between the zeolite’s and the environment’s ions. This means that the zeolite may be successfully used not only to treat drinking water or process nuclear waste, but also to purify human body. In a water environment, the clinoptilolite removes from it any substances, which are harmful for the human health, including radioactive contamination. The benefits of the clinoptilolite have been largely known to the humanity for more than 150 years. Its structure is similar to that of a honeycomb, which gives it an enormous electro-reactive surface area per gram of mineral. The negatively charged surface attracts and holds cations from the surrounding environment, and creates others, in turn. We may think of it as a fine sieve, blocking some substances, while allowing others to pass. These specific properties ensure zeolite’s extremely wide and varied applications. Without it, a number of new technologies in the chemical, food and beverage, pharmaceutical and military industries would be unthinkable. Taking zeolite is recommended as an additional and strengthening measure for the treatment of all diseases, including tumours. It is especially good for chemotherapy and radiotherapy, because it performs adequate detoxification, mitigates and eliminates therapies’ side effects, and allows faster recovery. Swallowing ground mineral, followed by drinking a glass of mineral water, is very healthy. The zeolite normalises the blood pressure, cures insomnia, perspiration and anxiety. People taking zeolite forget about disorders such as cancer, ulcers, gastritis, colitis, problems with the cardiovascular and nervous systems. 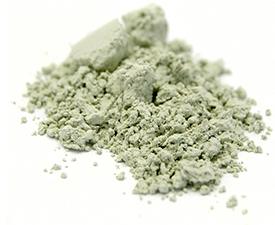 Use of zeolite powder is good for the skin and neutralises the effects of fatigue. Why ZEO3-H is recommended for immune system disorders? As a natural zeolite-based inorganic bioactive food supplement, ZEO3-h has a powerful universal action on the immune system, as an entero-donor-sorbent. The action of such inorganic bioactive substance-based food supplements on the immune system at the pathophysiology, pathomorphology, and biochemistry level are well researched and explained (Blagitko E.M., Prevention and Medical Properties of Natural Zeolites, Novosibirsk, 2000; Agadjanian N.A., Natural Minerals in Service to Humanity, Novosibirsk, 2000 (in Russian), et al.). The main action of ZEO3-h, having strong influence on the immune system, is the full restoration of mineral exchange. The main result of the administration of this food supplement is its immunomodulating action. I.e., in immunodeficiency (statistically, 82% of the planet’s population), ZEO3-h usage increases the immune system’s activity, while in cases of its hyperactivity (allergic and autoimmune disorders, including rheumatoid polyarthritis, allergies, dermatitis, bronchial asthma, etc. ), it decreases its pathological activity. Frequently, acute allergic reactions may be escalated by the most harmless substances—vitamins of the B-group, fruit and vegetable juices, even herbal extracts. In contrast, ZEO3-h has no organic content and its proper usage may not expose the body to any allergens, capable of provoking such escalation. This is why the usage of this food supplement in allergic conditions is fully consistent with the principal percept of bioethics: “Primum non nocere” (First, do no harm), while, at the same time, allowing the immune system to operate in normal mode. When natural zeolite is taken, a state of “relaxed activation” (Garkavi L.H., 1977) of the immune system occurs and is maintained for up to 3 months after the standard prophylactic course of intake. This state of “relaxed activation” is also important for the prevention and control of common cold, especially for paediatric patients with frequent and prolonged diseases. Why is it important, for every illness, to restore the body’s mineral exchange? How could we tell the state of our mineral exchange and which element is lacking? Furthermore, the package says that it is not a medicine—in this case, should it be taken by ill persons? We are all children of the Earth and are made of the same elements it, its atmosphere and everything on Earth are made of. There is even gold in our bodies (normally, almost 100 micrograms/l of it is contained within the blood plasma). According to the most recent data, as many as 82 elements in the periodic table are found in the human body. What is more—each element has its own range of “duties”, ensuring many of the body’s physiological functions. It is proven that, if our body has an insufficient quantity of some element, we don’t feel well. We will also not feel well, if we have an excess of some micro- or macroelement. OK, but how can we tell if we have mineral exchange disorders? The first sign of an expressed disorder in our mineral exchange is the tooth decay. This should tell us to restore our mineral balance by taking bioactive food supplements. I.e., dental pathology is just a manifestation of the abnormal mineral exchange. If we don’t help the body at this stage, more organs will begin to suffer—heart, liver, kidneys. We will never be able to help it, playing Whac-A-Mole with each occurring disorder, until we realise that we must normalise our mineral exchange by taking measures with natural mineral content. Moving on to the second part of the question, we should admit that, in fact, ZEO3-h, as an inorganic bioactive substance-based food supplement, is not meant to treat diseases. It would be naïve to assume that herbs or minerals may “kill” the causes of infections more effectively than antibiotics or have a more efficient pain control than analgesic medicines. This food supplement, however, has a much more important role than treating diseases—it increases our reserves, our health’s resources. This is much, much more beneficial. Why? Let’s take an example: probably every person has their “own” dentist, which they choose based on certain criteria—making good-quality and painless fillings, not very expensive, etc. So, we go back home with our new fillings, happy to be able to eat without any problems. Are we, however, healthy again? Of course not, because our mineral exchange was damaged and is still not fixed. Then, in another 5-6 months, we’re back at the dentist’s office, this time not with just one, but with more decayed teeth. And this would be simply because we failed to address our health, our mineral exchange seriously. This is the difference between treating individual disorders and restoring our health level using an inorganic bioactive substance-based food supplement. The clinoptilolite, contained in Rhodosorb-h, has the ability to always regulate the body’s mineral balance—selectively. There is no need to submit ourselves to expensive tests or fear microelement overdoses, because this food supplement, together with our own body, will choose its required elements and dosages, on their own. Why ZEO3-H contains exactly natural zeolites, and how large are their deposits in Bulgaria? The biological properties of natural zeolites were discovered in interesting circumstances. People in the North of Russia observed how deer and other herbivores, in autumn and spring (after the snowmelt), stormed the zeolite deposits (“kudiuri”, in the local dialect). Single or in groups, the animals rushed towards these places and gorged themselves on these natural products. Even the bear—the taiga’s gourmet—was not put off. Obviously, the animals’ bodies were lacking something and they, instinctively, took care of their health in this “natural health resort.” After numerous geological studies, it was discovered that all animals were stone-eaters. Stone-eating (lithophagy) is an integral part of their life’s needs. It is a way to restore the normal exchange within the body. Further studies of this phenomenon revealed that the zeolites are natural minerals with a unique structure, formed over thousands of years. Their crystal structure is not destroyed under any environmental condition, thus having high sorption (taking up or holding) capability. Furthermore, their unique crystal lattice contains all elements in the periodic table. This is where the animals’ mineral menu preferences become clear—it is necessary to purify the body and maintain the level of microelements, required for their normal life activities. In Bulgaria, in the Eastern Rodopi, the world’s highest-quality natural zeolites (having the highest clinoptilolite mineral content) are found, and the size of these deposits is impressive. These zeolites have been studied for many years at the Bulgarian Academy of Sciences (prof. P. Blagoeva, et al.) and it has been proven that they have no carcinogenic effects. From there (Eastern Rodopi), Eco-Tech Ltd. takes its raw materials to produce ZEO3-h. The production technology itself is unique (modification + 3-stage activation). The product itself is not toxic and is not ingested by the gastrointestinal tract, both in single and repeated usage. It has no irritant or allergenic effect. It is important to know that the production process does not use any chemical substances or preservatives—i.e. it is a 100% natural product. The process documentation for Rhodosorb-h production is compliant with the requirements of the European Union (Regulations (EC) No 1881/2006 and (EC) No 629/2008) and the product itself has passed toxicological and microbiological testing, and is registered at the Food Safety Agency (No 1490/18.5.2011). The ZEO3-H trademark is registered in 27 countries. The natural zeolites are an alchemic combination of 4 elements: air, earth, water and fire. Those are minerals, formed as a result of chemical reactions between volcanic lava and microelements, and seawater salts. Those minerals are a result of the interplay between the eruption energy, the chemical reactions between volcanic ash and various salts, and time in the millennia. In the world, natural zeolites have no known analogues, capable of interacting with the living organism at the INFORMATION-ENERGY exchange level. The success of ZEO3-h was foreordained by the prehistoric origin and genetic relation of all living organisms, including the humans, to Mother Earth. Eco-Tech Ltd. "Zeo3act" is a dynamically developing company with more than 20 years of experience within the zeolite industry. © 2019 zeo3.com All Rights Reserved.